Article by Edward Bodenham for the Jermyn Street Observations. John Singer Sargent (1856-1925) was the greatest portrait painter of his generation. The national portrait gallery have just opened their doors until the 25th May 2015 on a new exhibition of his work. This major exhibition of over seventy portraits spans Sargent’s time in London, Paris, Boston and New York as well as his travels in the Italian and English countryside. Important loans from galleries and private collections in Europe and America make this an unmissable opportunity to discover the artist’s most daring, personal and distinctive portraits. I'm honoured my family business has collaborated up with the NPG to offer their shop guests a selection of fragrances inspired by his work and the era of his time in London. Leading this offer is Lily of The Valley. The NPG we're keen to offer this fragrance as homage to the masterpiece ' Carnation, Lily, Lily, Rose'. The work is based in an English garden in Broadway in the Cotswolds, where Sargent spent the summer of 1885 with painter Francis Davis Millet after moving to England. He was inspired by lanterns that he saw hanging among trees and lilies while boating on the River Thames at Pangbourne. I had the pleasure to view this piece at the opening evening of the exhibition and was overwhelmed by both it's scale and how the height of the lilies and grass in the foreground almost submerge the children at the centre of the portrait. It's a large painting (one of the largest on display). In the gallery, the scale of the painting performs a trick: suddenly you feel the same size as the children, lending to a sense that you can almost smell the sparkle of a floral accord of lily of the valley. In 1885 when Sargent created the work, Floris was under the guidance of my ancestors Mary Ann Bodenham and her husband James. They we're running the business after they took it on from her brother Joseph Floris. Lily of the Valley had been part of the range since the late 1700's and would have had a key place at the heart of the perfumery at 89 Jermyn Street. 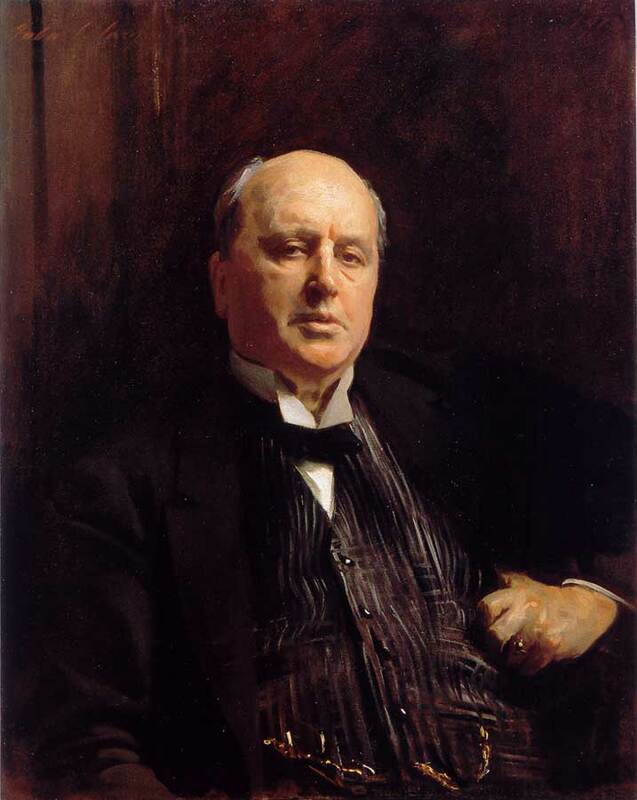 My personal favourite from the whole exhibition was his portrait of author Henry James. Created 1913, it captures a reserved and intelligent man. I read that James wrote, “Sargent at his very best and poor old H J not at his worst; in short a living breathing likeness and a masterpiece of painting”. The fact that the portrait gives nothing away of the man (I felt this also of the self portrait of Sargent) it leaves you with little emotion for what the he felt, but with a reflection that he can see all. Also available from Floris at the NPG for a limited time only, are Edwardian Bouquet and Bouquet De La Reine.